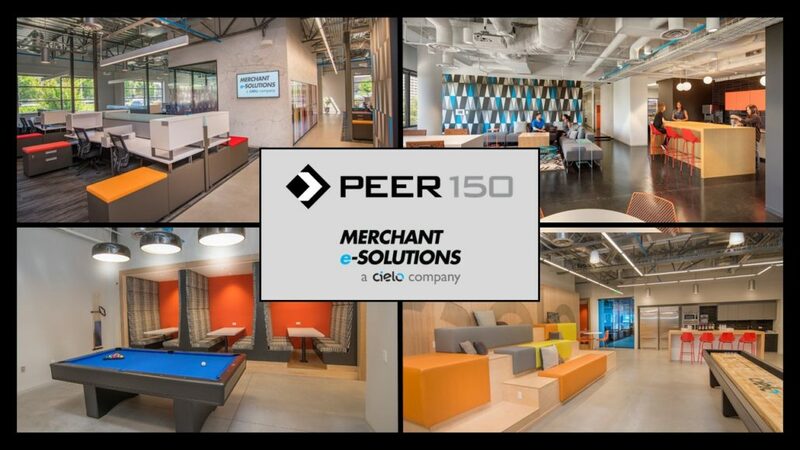 The Atlanta members of The PEER 150 are honored to host an evening of networking and content at Merchant e-Solutions Headquarters for their inaugural dinner. Attendance is open to senior human resources executives approved by our PEER 150 team. With this being our first opportunity to gather as a group, our host, Monique Miklovic, is planning a more casual format that enables networking, best practice sharing and small group discussions. Below are some questions that will be asked during the small group discussions. When faced with an organizational change (mergers & acquisitions, hyper-growth etc. ), how do you maintain or adjust your culture over time? How are you creating an inclusive and welcoming work environment where every employee can truly thrive? What do your performance check-ins look like? How often are you meeting? How do you align pay to performance? As companies adjust to an increasingly mobile workforce, how as HR leaders can we help develop successful leaders while also focusing on succession planning? As an organization, how are you dispelling the notion that artificial intelligence is going to replace employees? How are you communicating this message? What are some ways your organization is using/is thinking about using/can use AI to enhance the employee experience? Monique joined Merchant e-Solutions in January 2016. She has an extensive background in developing and implementing people strategies that create a sustainable competitive advantage. 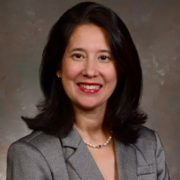 Prior to joining Merchant e-Solutions, Monique held multiple positions at Bank of America Merchant Services, a leading provider of payment solutions. Most recently, she was Senior Vice President, Learning and Leadership Development, responsible for leading a team that bridged the gap between business strategy and organizational performance by executing the talent strategies necessary to achieve break-through results. She also served as a key leader in a company-wide culture and skills transformation. Monique has more than 23 years of human resources leadership experience at Fortune 50 companies, including Accenture, IBM, The Home Depot and Bank of America. She graduated with a bachelor’s degree from the University of Southern California and earned an MBA from Cornell University. Monique is currently an active volunteer in a variety of community and faith-based initiatives. We are … data-driven, yet people-focused. Merchant e-Solutions is a U.S.-based company headquartered in Atlanta, GA, and registered in the state of Delaware. Merchant e-Solutions is both a merchant acquirer and global processor, processing over $18 billion in annual transaction volume and supporting 150 global currencies including all major credit cards, debit, and alternative payment solutions. Merchant e-Solutions is owned by Cielo S.A., Latin America’s leader in electronic payment solutions. Cielo S.A. acquired Merchant e-Solutions in 2012 primarily for its industry-leading technology platform, world-class service, and payment expertise. Headquartered in Sao Paulo, Brazil, Cielo S.A. is a publicly traded company serving more than 1.5 million active merchants and covers 99% of Brazilian territory. Mission: Merchant e-Solutions helps merchants accept payments anywhere and easily manage all on one platform. Merchant e-Solutions provides a global network and enables merchants to securely do business in multiple channels including online, mobile, and in-person. Our industry-leading technology platform, flexible and customized reporting, and world-class service provide customers, banks, partners and developers with the most comprehensive payment services in the market.